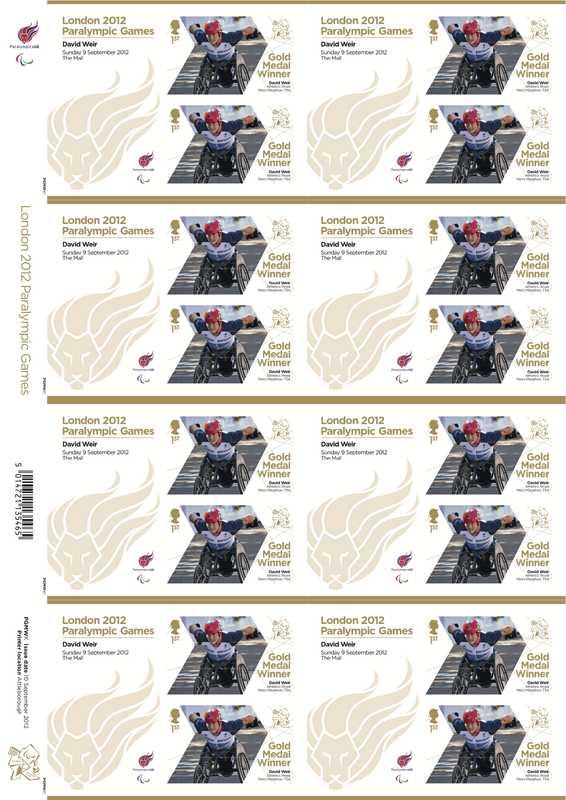 We can now bring you the final Gold Medal Winner stamps to be issued for Paralympics 2012. These are all issued 10th of September 2012. Our hearty congratulations to all the medalists across the games! 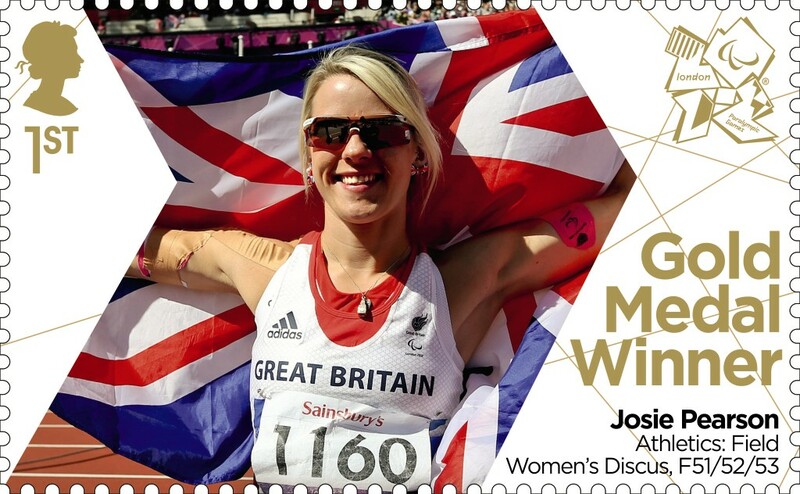 We would be interested to hear in the comments your thoughts on the issues to date - bearing in mind that Royal Mail had just 10 days to prepare for these PGMW stamps, in contrast to several years for the OGMW stamps delivered for the Olympic Games. Also, do you think Royal Mail should do it all again for the Rio games in four years time, as Australia Post did this year (though they weren't busy), or do you think this should be a one-off for the hosted Games? 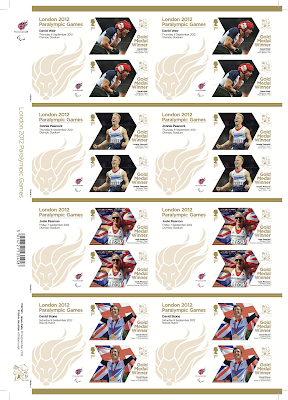 The Memories of London 2012 Miniature Sheet will contain four stamps – 2 x First Class and 2 x £1.28 – featuring images from both the London 2012 Olympic and Paralympic Games. This will include an image of the Closing Ceremony of the Olympic Games and reference made to the handover to Rio for the next games in 2016. We do not now expect their to be the previously intended 6-stamp miniature sheet issue for the Paralympics, since these have been superceded by the PGMW series. In the mean time, thank you to all our followers, old and new, for their contributions to this fast and furious issue schedule, and we look forward to your continuing contributions! I sure hope this is a one-off thing. An inspired series that has generated much media attention and interest from collectors, even from the likes of me who does not collect modern GB any more. As with all "firsts", Royal Mail will have to think very carefully about whether to repeat the exercise for the Rio Games, as interest may not be as strong as for the London 2012 home Games. Also, the danger is that there could be pressure put on RM to produce GMW stamps for the Commonwealth Games being held in Glasgow in 2014...and once the ball has started rolling, how do you then stop it, as there are the Winter Olympic Games in Russia, also in 2014, to factor in! Now that our wonderful Games are over I am allowed to revert to form and be cynical once more: I suspect that RM will issue more GMW stamps for future Games if their research and profit from 2012 shows that there is sufficient money to be made out of the exercise. The profit motive is an honest one - if there is no profit in issuing special stamps, RM would have trouble justifying doing so when they are part public funded. I think RM profits from the Summer Games will make the issue of such GMW stamps an almost certainty in future sporting events of this nature. However I believe, London 2012, should be treated as a one off. Us collectors have enough issues in a year already, without having to fork out even more money for MS / Sheets etc generated from an Olympic Games. By Rio our postal rates will have increased again, taking a further hefty lump of cash out of our pockets. 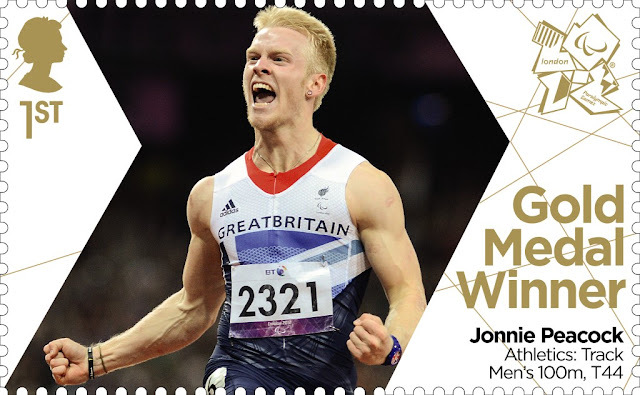 I think that Royal Mail should be congratulated for their excellent effort in producing the Olympic and Paralympic Gold Medal Winner's stamps. I was initially in two minds about issuing the Paralympic stamps but judging from the very positive feedback during the past few weeks, I now think it was absolutely the right decision to go ahead with the series. 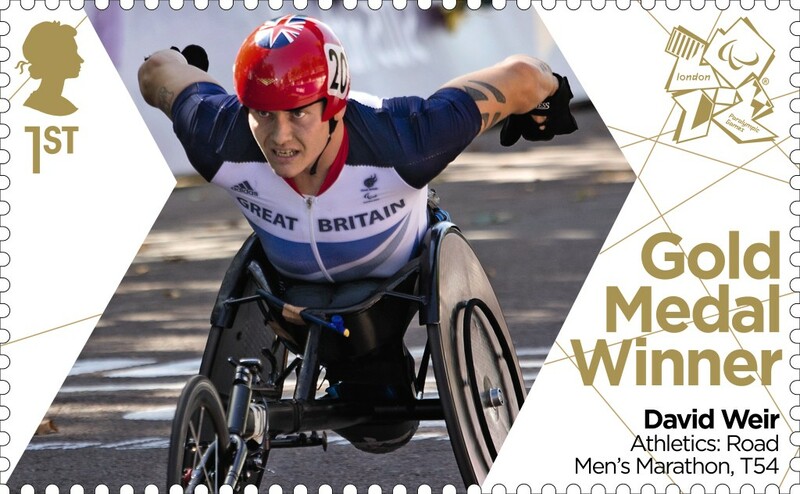 Having said all that, I really hope Royal Mail treats this as a one-off event and doesn't routinely issue Winner's stamps for other athletic & sporting competitions, such as the 2014 Glasgow Commonwealth Games or 2016 Rio Olympics. I'm all for it! What a great time to be a GB collector, every day something new. Despite RM U-turns, confusion over dates, the compendium foul-up, the costs of getting them all etc, this has to be one of the most exiting periods of my GB collecting career (50+ years). Hats-off to RM for doing it this way (they will learn I'm sure from some of their problems) and a big WELL DONE to all the blogs and dealers (especially Ian and John) for keeping us up-to-date and working around an ever-changing schedule. 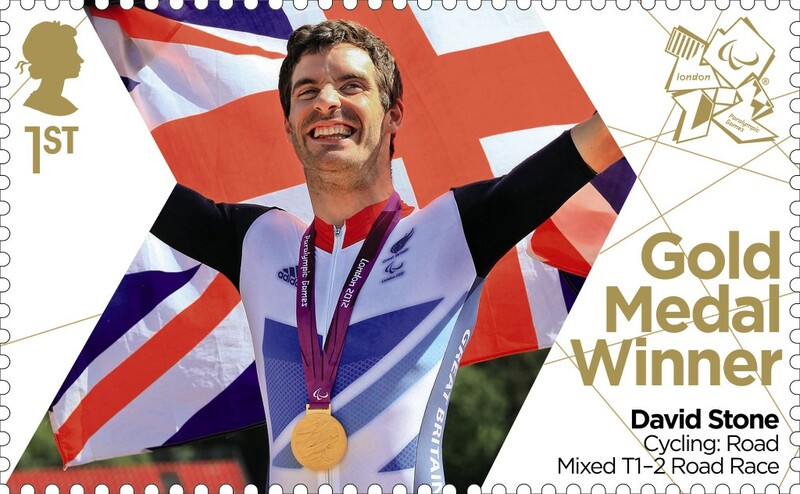 This has put GB stamp production and GB collecting right up there again and a great way to publicise our achievements. Makes some of the past issues that have little relevance look a bit feeble. Maybe, they'll have a welcome and closing ceremony set of issues for the Commonwealth. Maybe for worldwide events hosted in the UK, something could be issued. Positive Comments. The Gold Medal Winners stamps have been a very attractive and well designed set that has caught the imagination of many people who would not normally collect stamps. Congratulations to Royal Mail on achieving the incredibly tight schedules with so few problems. Negative Comments. None about the winners stamps. But did we need so many stamps overall? Did we need 12 stamps from miniature sheets? Did we need 30 commemoratives beforehand plus another 12 self adhesive variants of these from booklets? Did we need 4 definitives plus another 4 lick-and-stick variants of these from the prestige book? Altogether I make it 125 stamps. Last time the Olympics were in Britain they issued 4 stamps. This time they issued 125. Possibly worth noting at this point that RM did not originally intend to issue PGMW stamps - as agreed with the Brit Paralympic association there was to be a combined winners mini sheet issued at StampEx to coincide with the 'Memories' issues mentioned in the post above. Following a concerted campaign by the twitterati and some of the press in the UK, RM bowed to opinion, and in 10 days planned and released the second raft of stamps. Perhaps if they were to do it again, they would cut down the 'surrounding issues' and plan the O/PGMW stamps from the start. Response to machinmaniac re. numbers of stamps issued. Good point, and I would add the following. 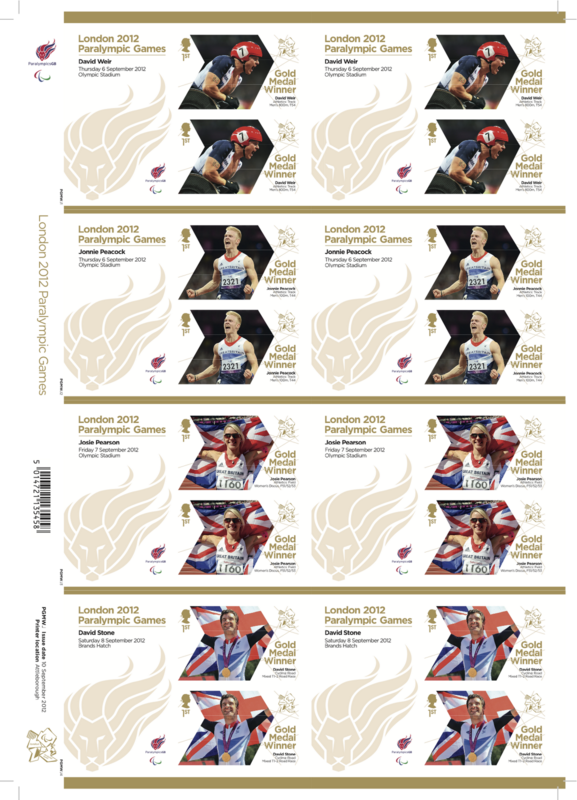 Primary issue formats should be as individual stamps (RM PLEASE NOTE!) available over the counter. This will ensure widespread usage and advertisement of the subjects selected. By all means issue minisheets, maxisheets, booklets, PSBs etc, but we all know that the stamps in these are rarely used for postage and hence not seen outside the collecting community if they are not available as singles. I do hope that this series is a one-off for the games held in our country. It was originally for the olympic games and i am pleased to see that it was also followed for the paralympic games. However if this is continued for other games (Even just olympics) I feel it will become too costly for collectors to keep up and it will drive people away from collecting rather than encourage them to start. I received four sets of paralympic sets today. Unfortunately, one mini sheet missing from all four sets. 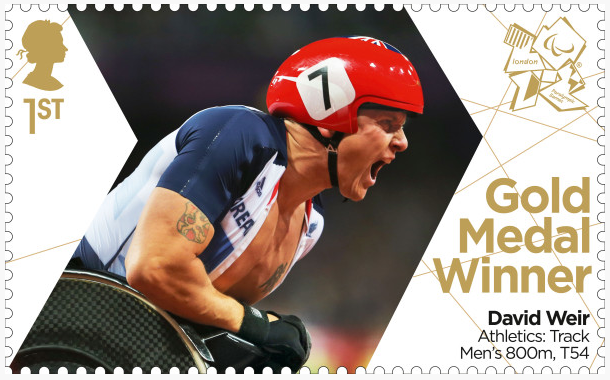 It is stamp #6, TX006, PGMWC4 - Richard Whitehead - Track Athletics Men's 200m 42. I suggest you all check your sets, sooner than later. Has this 'error' occured for anyone else? I can't report it until monday morning.